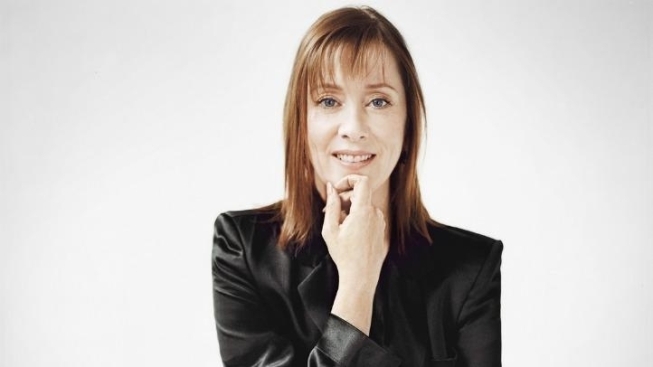 When singer-songwriter Suzanne Vega was a student in college 30 years ago, she wrote and performed in a one-act 45-minute play about the Southern novelist Carson McCullers, best known for her masterpieces "The Member of the Wedding" and "The Heart is a Lonely Hunter." For Vega, her interest with McCullers began with a short story called "Sucker" that she read in the ‘70s. Today Vega revisits Carson McCullers in a revamped and expanded version of her play titled “Carson McCullers Talks About Love,” which opens Thursday at the Rattlestick Playwrights Theater in the West Village. It is currently in previews. For this spoken word/musical work, Vega wears multiple hats: she portrays the title character and is also the play’s writer and musical co-composer with fellow songwriter Duncan Sheik (Spring Awakening). As for the music, Vega draws on McCullers’ writings and biography for the lyrical content as if to present the author in her own voice. One of the songs from the play is “Harper Lee,” a reference to the famed author of “To Kill a Mockingbird” and a contemporary of McCullers. Depending on the play’s reviews and public interest, Vega would like to take the production on the road after it ends its run on June 5. As for her expectations from audiences about the play, the singer says that she wants them to be moved and to laugh. “It’s half humor and half horror,” Vega says. “In some ways, she had a horrific life, but she has this great will and a great determination to succeed. So I want people to feel sad, I want them to feel happy and this sort of connection with humanity, which I really think that she did feel." “Carson McCullers Talks About Love,” written by and starring Suzanne Vega, opens Thursday and runs through June 5 at the Rattlestick Playwrights Theater, 224 Waverly Pl. For information, call 212-627-2556 or visit www.rattlestick.org.